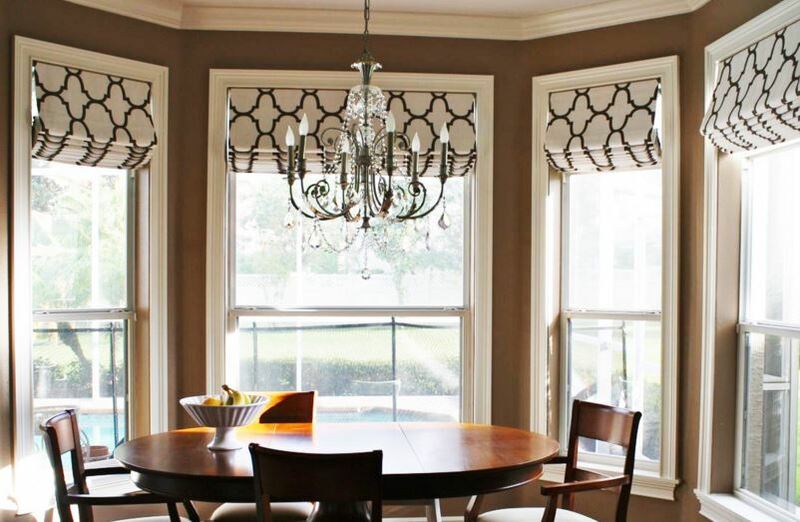 Your window treatments may be decorate or functional. 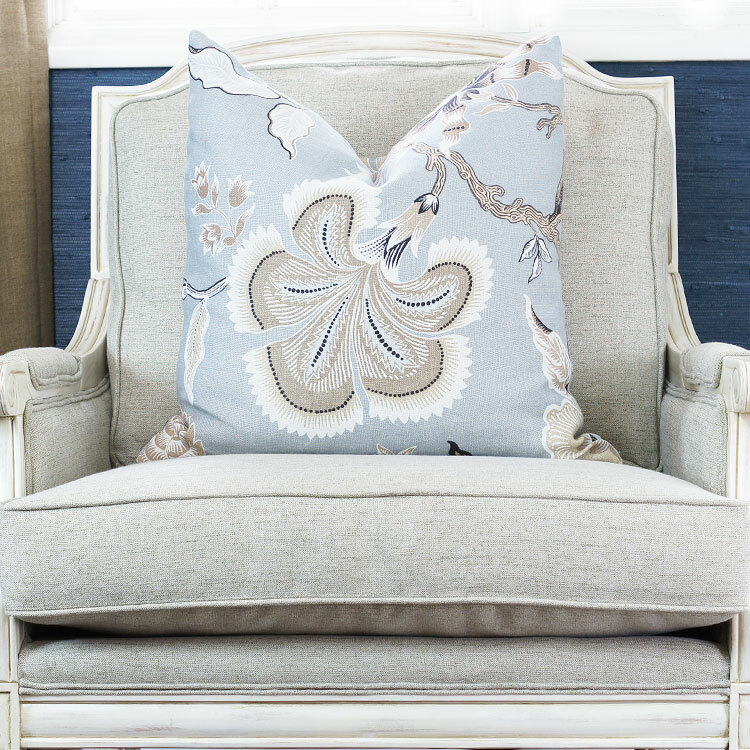 They may compliment your furnishings or they may be the focal point of your room. But have you ever thought about where and why we started using window coverings? Initially, people covered windows for only practical purposes, and any decorative function the treatments served was secondary. 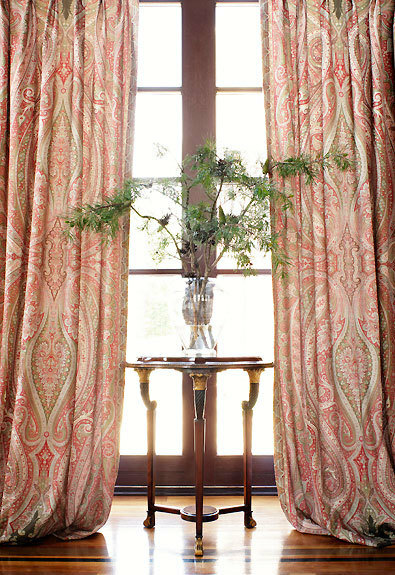 Thick, heavy draperies kept the warmth in old buildings and served as an insulation to thin windowpanes. Shutters, in the Middle Ages, were placed over small windows to the outside and secured from the inside via a small latch. Steadily, with the advent of better trade relationships and routes, linens, prints, and silks became more readily available from the East and Italy, and draperies and curtains became much more decorative in nature. While we still use draperies and curtains in colder climates to help insulate homes, window dressing has become so much more than materials insulating a window. 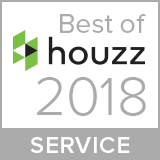 As a society that traveled, each new destination we visited brought forth new ideas and styles about how to treat windows. 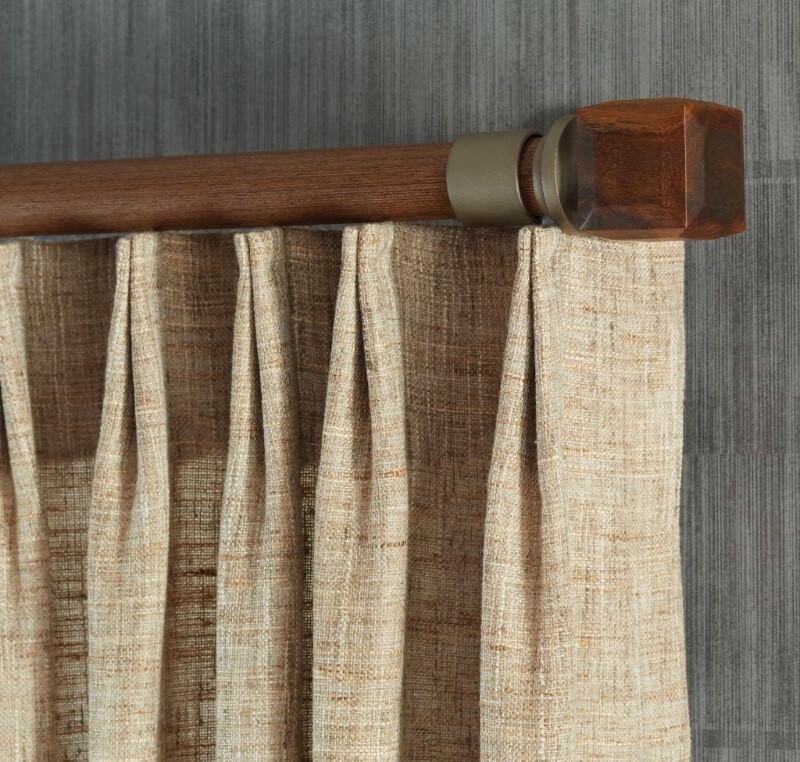 Blinds were an innovation brought from India. Screens for dividing a space and creating privacy in a room were adapted from Japan and balloon shades were an advent of the Venetians. 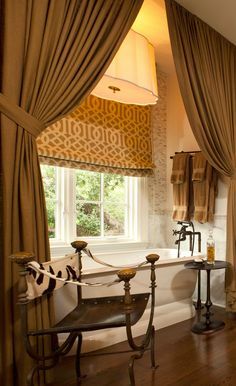 Along with the arrival of more modern amenities and innovations in homes, such as double pane glass and central heating and air-conditioning, the need for heavy curtains has waned and the industry of window coverings has also grown; ushering in modern and more sleek ideas, solutions, and styles. 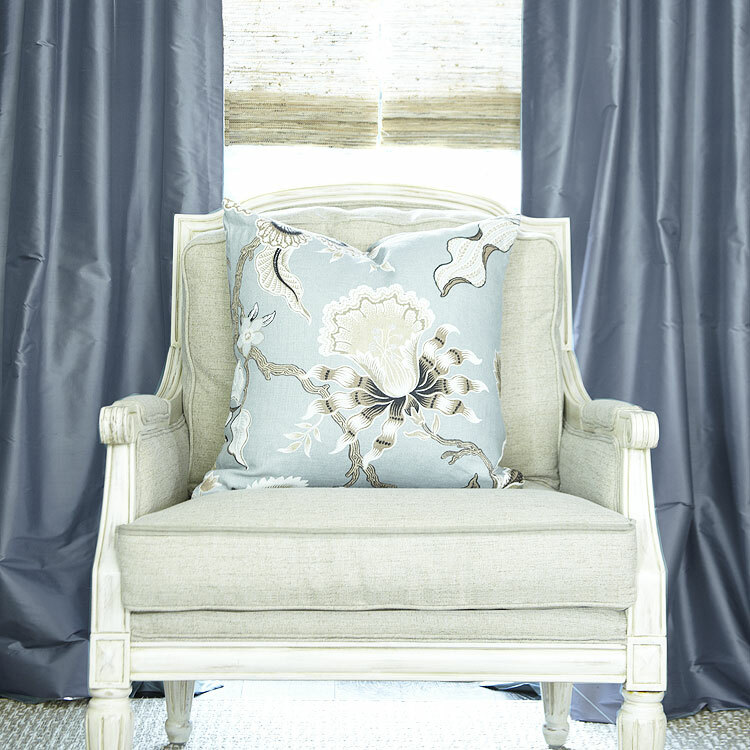 Curtains can be a wonderful way to enhance your décor, add texture, pattern and color to an environment, all while creating a type of screen between you and the outside world. 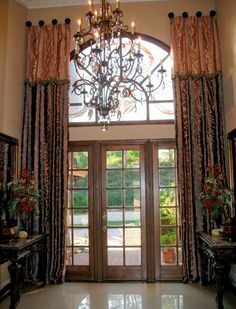 Curtains can be very simple, a pleated drapery or panel of fabric that hangs straight down from a pole, or they can be elaborate and more complex, with a fuller volume, more fabric or highly decorative fabric, valances or complex hardware and perhaps a swag or tiebacks. 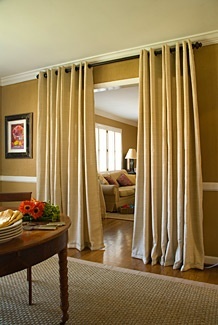 Most importantly, curtains tend to become a focal point in the room and can draw attention to the view or décor. 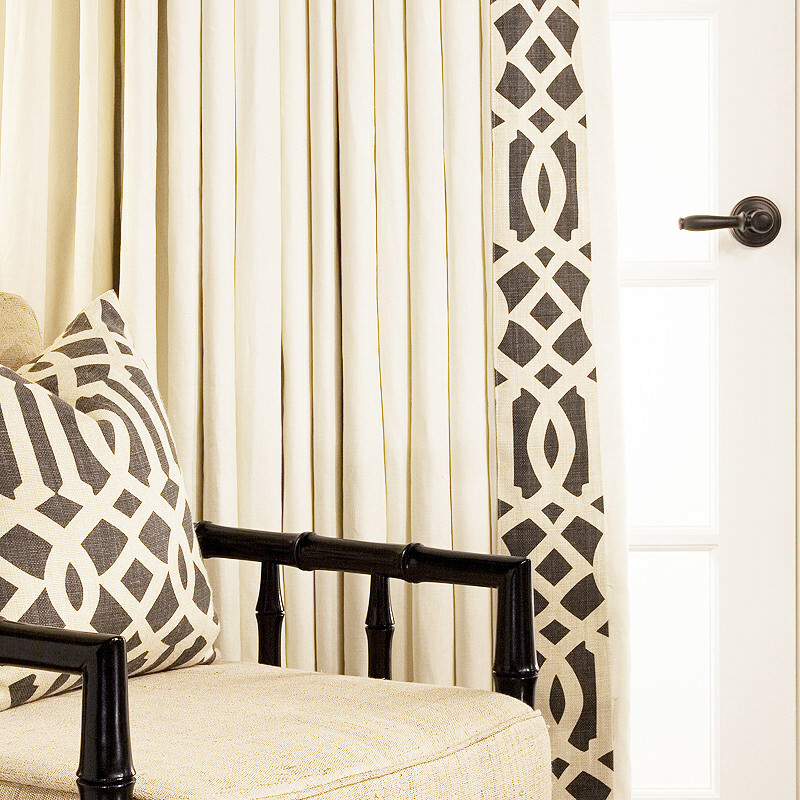 The choice of color texture and pattern adds to a room’s intimacy, aesthetic and warmth. They can also be a practical way to filter light, insulate during the winter, create privacy, and reduce noise in busy cities. 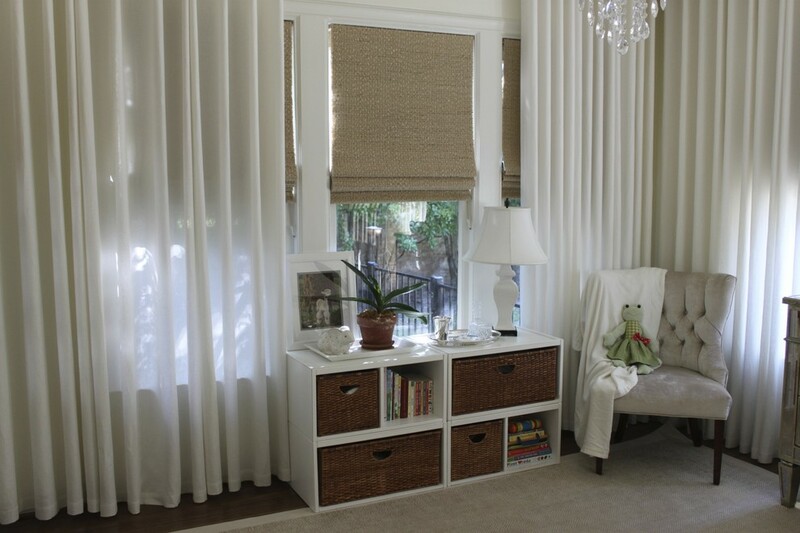 Shades and blinds are one of the most popular and most versatile means of treating windows. 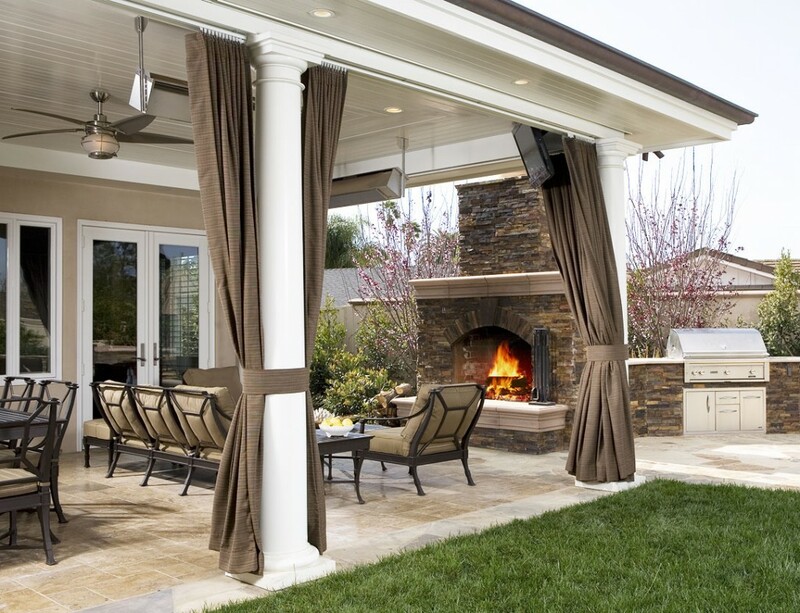 They offer the flexibility of filtering daylight, creating screens between the interior and the outdoors, and they even have the ability of blocking light completely while maintaining your view. Blinds and shades can be lowered or raised as the user desires, which can be primarily accomplished using a spring mechanism or cord system and can also me motorized for ease of use. Aesthetically shades and blinds offer a clean and simple way to dress a window, without competing with the architecture or style of the window. Further, shades are often the best solution in kitchens and bathrooms and can be a more functional and economical alternative in these areas. 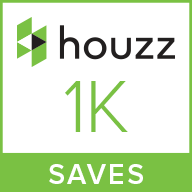 Shutters are one of the most architectural ways to treat any window. They are permanently attached to the outside of the window frame and either swing open or stack on the side of a window. Shutters can be one of the best ways to insulate a room, reduce outside noise, and provide privacy all while filtering the light. Today the most popular style of shutter is the plantation shutter, and is a beautiful alternative to other shading systems. Screens can also be a unique and creative way to add privacy to an interior or define a space. 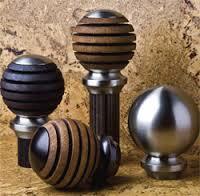 They also tend to serve as an additional piece of furniture, and come in a variety of materials and fashions. 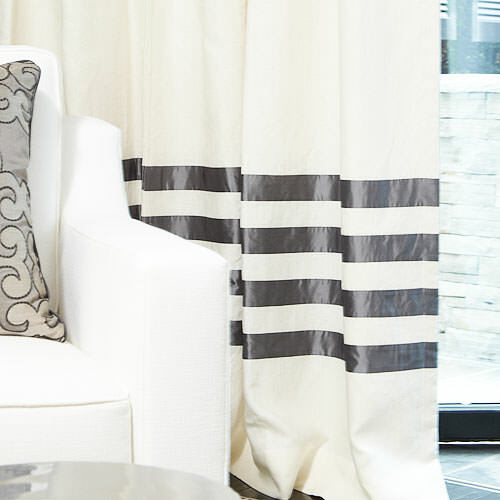 No matter what the project the most important aspect for ensuring that the chosen window treatment will be perfect in your home is that the treatment has been well made and precisely finished. 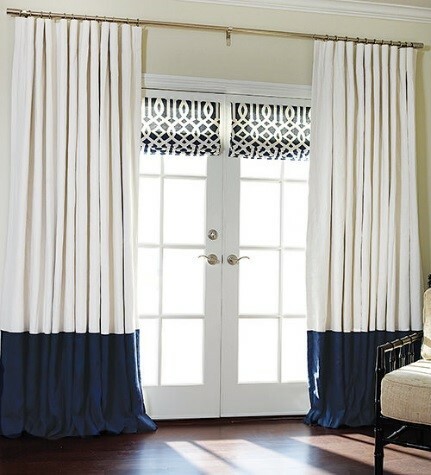 Chances are you have given a great deal of thought to the furniture and décor in your home and that forethought should also extend to window coverings. Need a little more help? 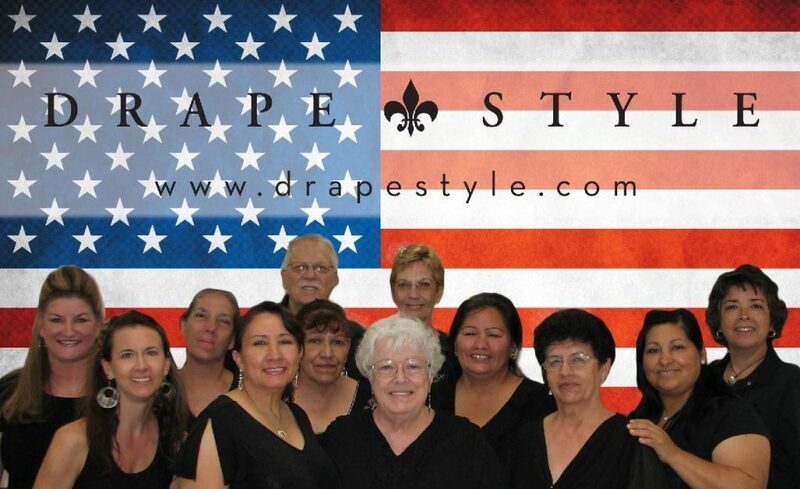 Let DrapeStyle help you make a little history by designing your dream drapes. 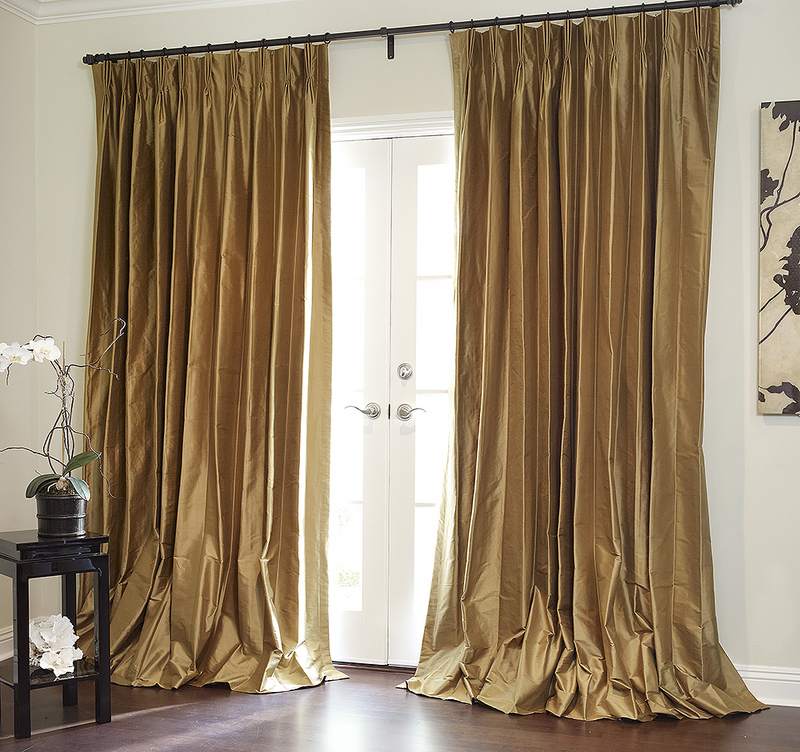 We have been in business for over 15 years making draperies and Roman shades from the finest fabrics and trims. 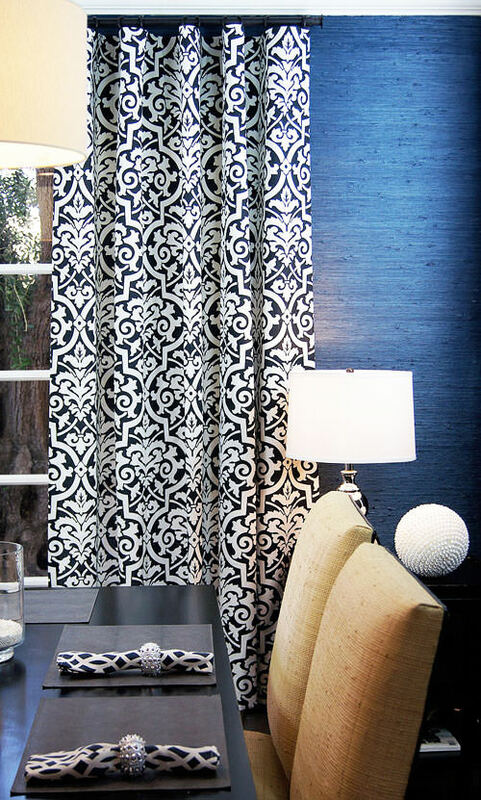 Contact us for more information or for samples of our fabrics.